Acute Trauma: A single traumatic event that is limited in time. An earthquake, dog bite, or motor vehicle accident are all examples of acute traumas (Child Welfare Committee (CWC)/National Center for Child Traumatic Stress Network (NCTSN) 2008, p. 6). 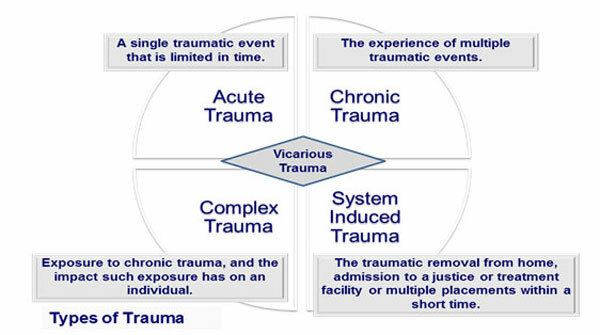 Chronic Trauma: The experience of multiple traumatic events either singly or in combination. For example, living in an unsafe environment as a result of poverty, homelessness, domestic violence, or abuse or witnessing violence.